PAUL DERVAN: My first book is published. I'm probably stretching the truth too much to say that this is my book. 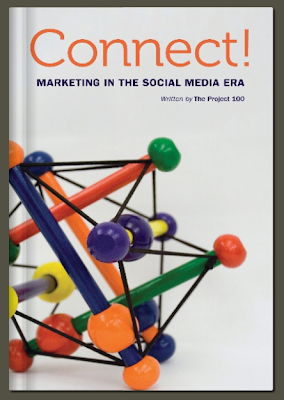 Myself and 99 other folk have each contributed to a new book about marketing in a social media age. Profits go to charity. Jeff is the man that pulled it all together. Fair play. I'm assuming it will be available on amazon in the next few weeks. It is available now here. I found the process itself of connecting 100 marketers to write a book is interesting in its own right. I'll post about this, in a little more detail, in a few weeks. Looks like a great read. Well done Paul. Have just ordered my copy. Congrats Paul, I'm looking forward to reading. Great idea. thanks lads. Clearly I've only read my article and one or two others. Hopefully it will be good. Nice idea anyway. Very cool idea. Hopefully some messages might seep through in adland. Thanks for the comments! We have sold dozens of copies...hope you enjoy it!